The 2018 Jeep Grand Cherokee is here and it promises to be another great vehicle to keep an eye on for 2018. 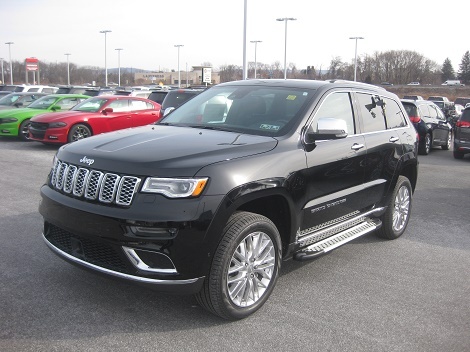 Jeep has just released the 2018 version of the Grand Cherokee, loaded with luxury features such as Active safety and security lane assist, blind spot monitoring and, Park assist. This is not the jeep that most of us grew up with. Gone are the boxy styling, the harsh bouncy ride and that interior that yelled " I'm stuck in the 80's"
The new 2018 Jeep Grand Cherokee's interior is a work of art, with full driver control and enough gadgets to keep its occupants comfortable and safe. Dual sunroofs, supple leather seats, soft to the touch surfaces that exude luxury. Jeep has given the public enough models to match everyone's taste and budget. Eleven models to be exact, starting with the Base Laredo to the beast called the Trackhawk. Now we know Trackhawk owners are probably never going to ask for Romik running boards, but we do know that the rest of the models can surely benefit from our popular line of RAL, RB2 or RZR European made running boards. If you are the lucky owner of a Jeep Grand Cherokee Summit, than you should know that Romik running boards are the highest rated running boards for this model. Our RAL-B running boards have also become a fashion statement with the High Altitude models. Black wheels and black running boards make a strong statement. 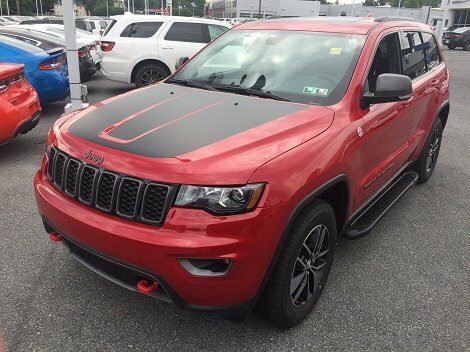 The Trailhawk model also looks great with the matching black running boards. Grand Cherokee owners rejoice! 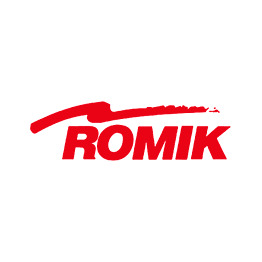 Romik has you covered. Check out the simple how to video below.